Halloween is a big deal in our community! Aside from trick-or-treating, there is a fun parade that the elementary students participate in that goes through part of the neighborhood near the school. Following the parade, the kids go back to their classrooms for Halloween parties. It is such a fun afternoon! The students are given an extended lunch time in which everyone goes home to eat and change into their costumes before returning for the parade. Last year, my youngest had a few friends over for lunch and to get ready for the parade. 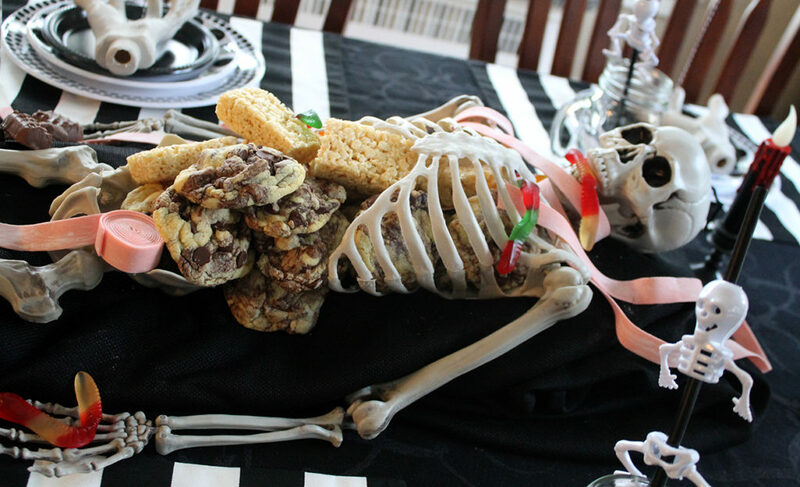 In keeping with the spirit of the holiday, I set the table with some spooktacular decor. 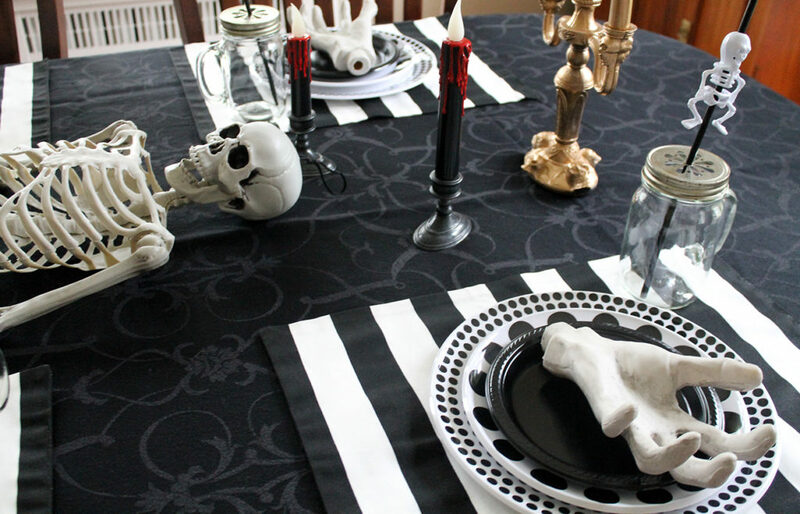 I covered the table with a black tablecloth, and black and white striped placemats. 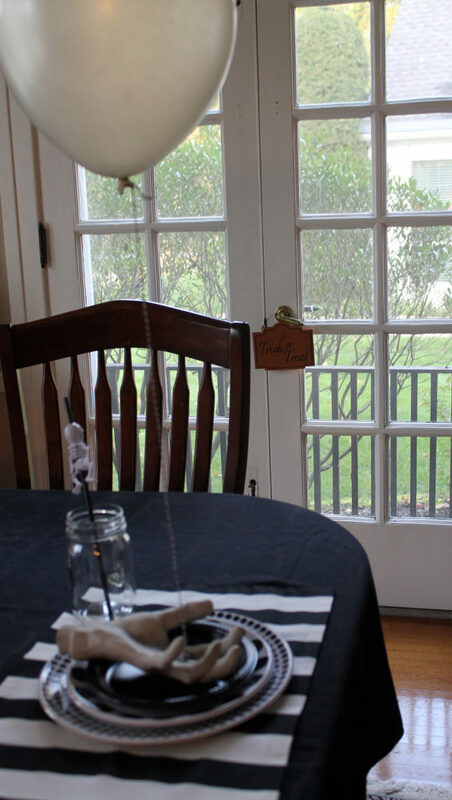 The table was then set with black and white polka dot melamine plates. 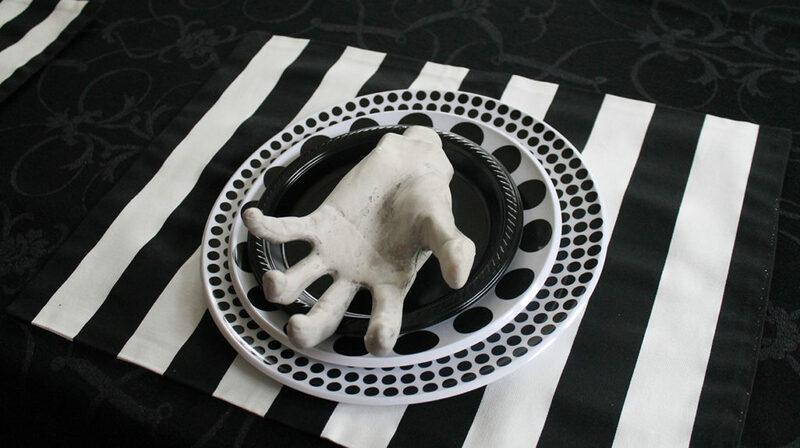 A scary, spooktacular hand was placed on top of the plates. Spooky, right?!? 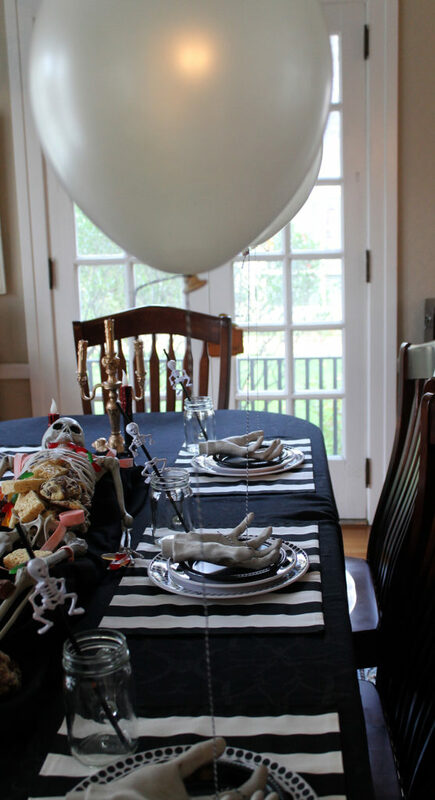 I tied some baker’s twine to one of the fingers and attached white balloons filled with helium. Simple, but very fun and whimsical! Mason jars, along with some skeleton plastic straws, were used for the beverages. 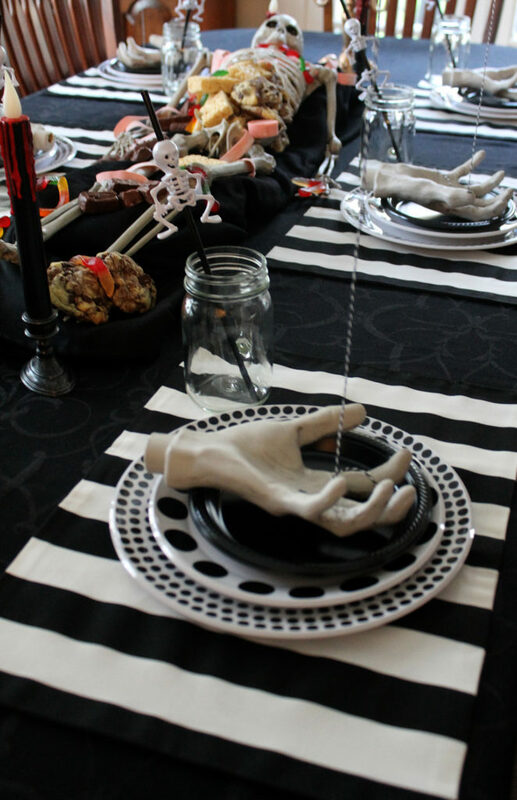 The really fun part of this table decor was the centerpiece! 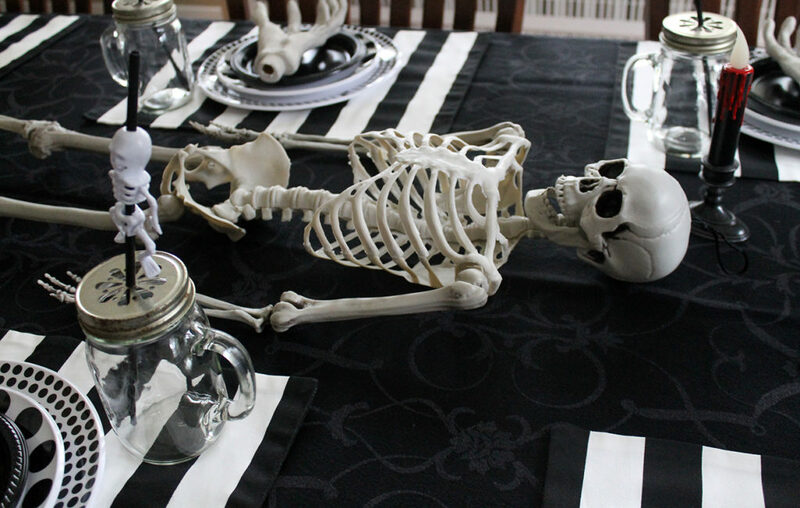 Along with some spooky-looking candelabras, I placed a large skeleton down the middle of the table. 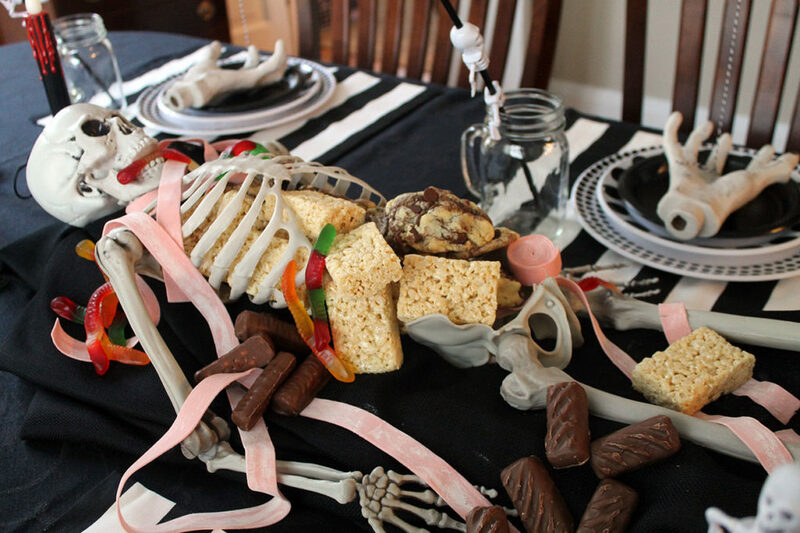 The skeleton became part of the dessert, as I filled it with lots of yummy sweets. 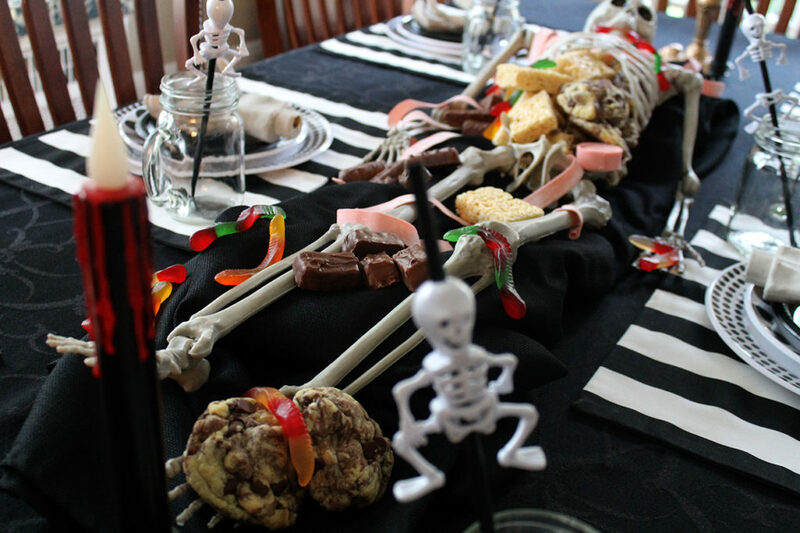 Gummy worms, chocolate bars, rice krispie bars, chocolate chip cookies, bubble gum tape…what a festive dessert! 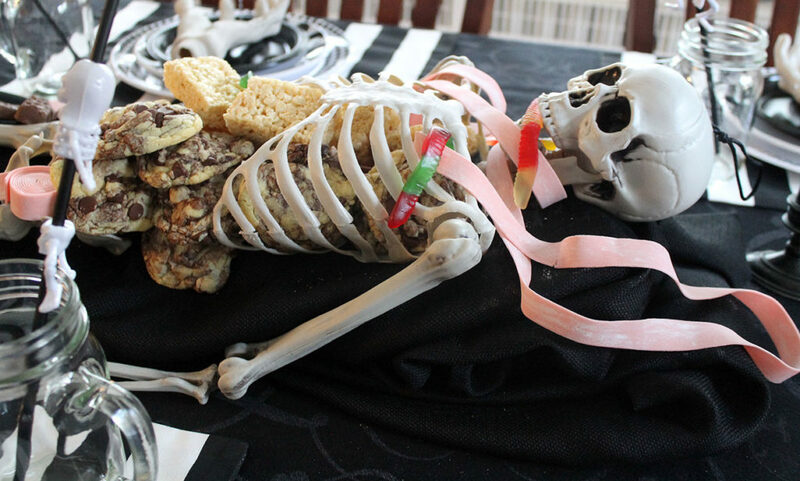 The guests had a lot of fun naming the “guest of honor” at the table and then digging in for some sweet endings to their lunch! And then it was back to school for a parade and party!